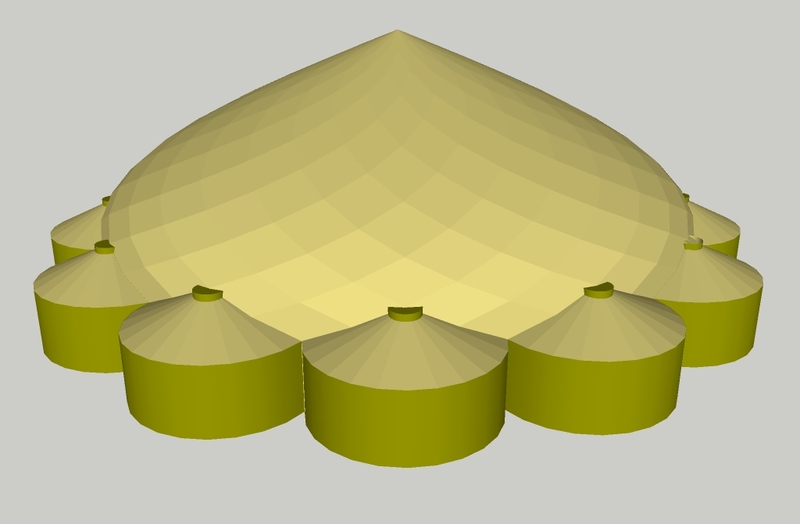 At the height of the nomadic tentage tradition, the yurt became a symbol. 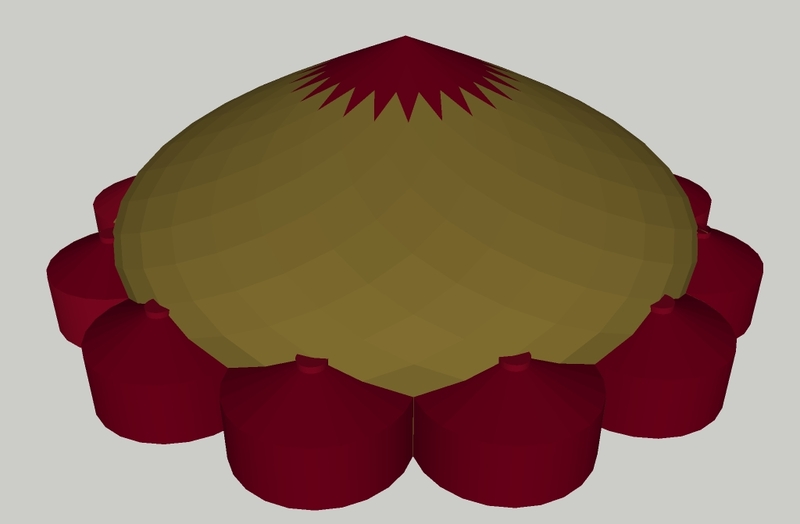 The tents of state have become big affairs and could no longer simply be made as trellis or yurts tents (because of size and length of roof ribs) anymore, but the emperor’s tent remained always a yurt, usually of crimson colour, a colour that was kept for the use of the ruler only. The moving camp, or ordu, at times was the size of a small city. A nomadic tradition that had its routes with the mongols (or even before them), this nomadic camp will form around a ruler or one of his persons of status, and would continue to travel as a unit even after their death at times. But at later times when nomads became rulers of empires, through a process we talked about here, their nomadic camps turned into whole moving cities, and I think have become less sustainable. Those cities where born out of conquest, which is not unlike grazing; where a moving people took from the landscape what they need, except that with conquest they took what they could. 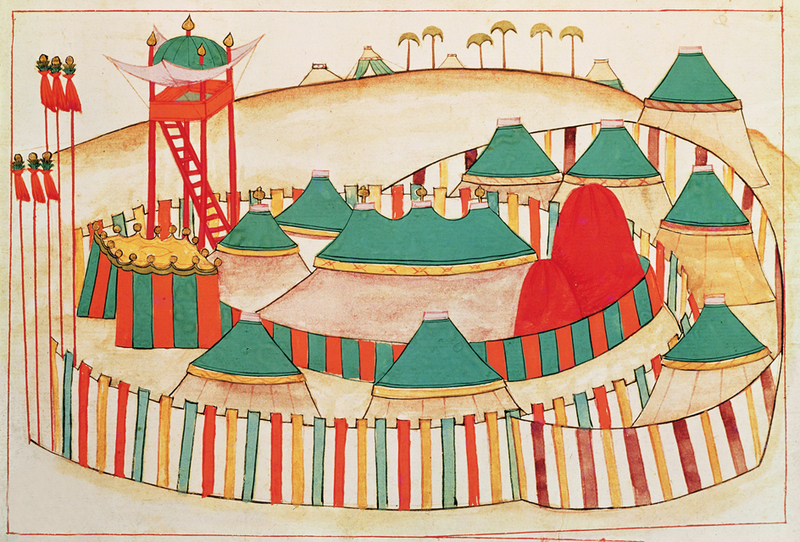 For a golden age that started with the mongols and ended with the Mughul empire, nomads have become kings, and their tents have become palaces, I like the fact that even at its highest point, the emperor had kept a yurt, a tie to those nomadic roots. I think its not the just the fact that in order to keep the lavish life style, these nomads had to keep “grazing” on the sedentary. Its the fact that the lavishness and riches of their lifestyle turned them into the very people that they conquered, that brought down the moving cities of old. But as you may be able to see we do have a warm corner in our heart, for those moving cities that had a crimson yurts in their centre. Today’s progress on the zome for the Zodiac Tent, despite the relentless Welsh rain, has been attaching the first and second level struts together with that first connector. Like all stories of power, the elements of it are threads in a multi-dimensional tapestry, and any starting point has many associated references. 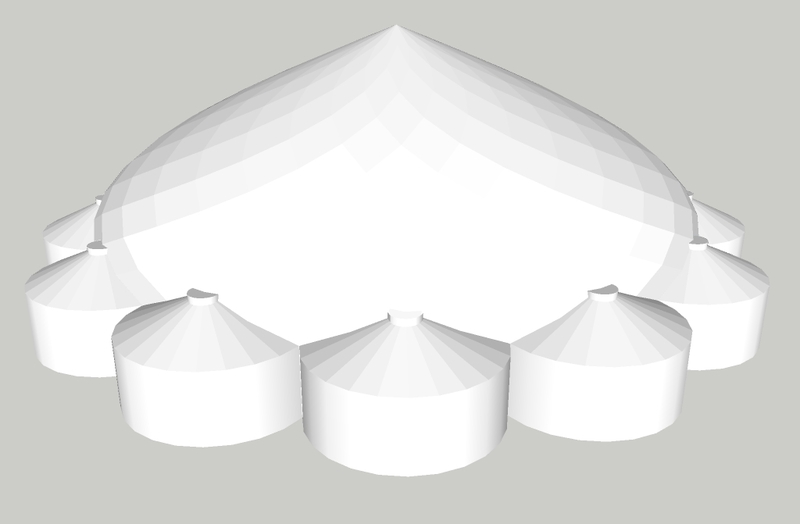 So, for this thread I will introduce us as canvas tent-makers and begin with the tent palaces, which for some time we had been dreaming of: grand nomadic structures, which stand as the heart of a tribal village. Over the last few years, we have been involved in the making of a few. Then, a couple of years ago in Israel, The Last Act on Earth, the transformational travelling show, was born. 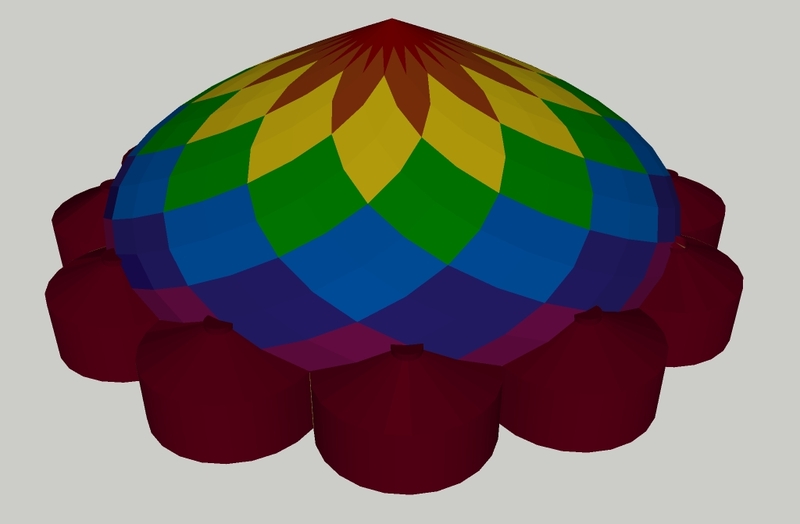 Later, back in Hungary, we were looking at Mughul palace tents, in particularly, Humayun’s Zodiac Tent, which was a grand 16th century court tent comprising 12 trellis yurts in a circle for the 12 signs of the Zodiac, encompassed by a central structure for the celestial sphere. 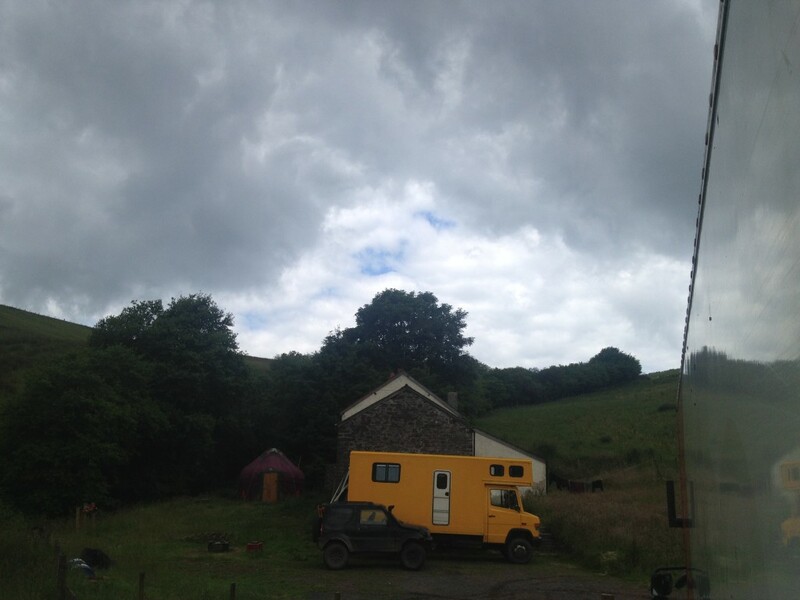 We then had an enquiry from a guy who wanted to make special tented accommodation for festivals, and in designing his camp and talking to him about the Zodiac Tent, an artist came up with this picture…..
…a story by itself, so we will touch on it later, but what is noteworthy is that as we moved on with this journey, we find more and more people who come to us and say, “I have heard this story” or “I have also been working on this for a while now”. There are some meta scripts which are out there at large: we do not own them, we simply are helping them come true.